One of the transport innovations which had been on display at the CES tech show in Las Vegas was a human-carrying drone. Announced by Chinese company the so-called EHang, the company’s new Autonomous Aerial Vehicle – AAV is a large scale drone which has been designed to separately fly people from one point to another. The personal minicopter is not operated through manual controls and the passenger can choose a point on a map to travel to a particular place. 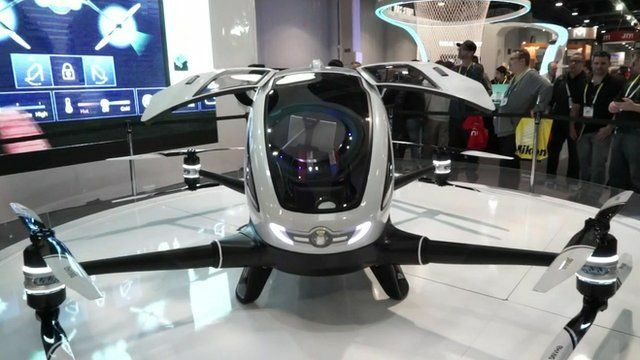 The device is said to be costing more than $200,000 and could be illegal to ride in public in several countries.Huazhi Hu, CEO of Ehang had started designing the one seater electric drone a couple of years back after two of his pilots had been killed in plane crashes. He had decided that people required a short-to-medium-distance personal air transport where a pilot’s license would not be needed and that took off most of the danger of out of low-altitude flight. The notion of creating the Chinese built-184 is that users could get to power it and select their destination using a 12-inch touchscreen tablet display and then use the `take-off’ button. The automated flight systems of the drone will then take over from here, handling task like communication with air traffic control together with the other aircrafts, avoid obstacles and navigate. It will tend to use the fastest and the safest route between its current place and its destination. Besides being safest, the company has described it as the smartest low altitude autonomous aerial vehicle on the market. The Failsafe system will apparently take control in case of any malfunctions and the passenger would also get the drone to stop and hover in place if required. If one tends to travel short distance often, this is appropriate option to reduce the strain of traffic and transport through air. One could hop into the only passenger vehicle and go up and away to their choice of destination. According to EHang, passengers only need to sit back and permit the software and machine to do the work where no piloting or license is needed and flights have now become very easy. EHang also envisages the 184 for shipping medical transport and much more. The craft comprises of eight propellers together with four arms which is created with reinforcements in place should a component tend to fail. 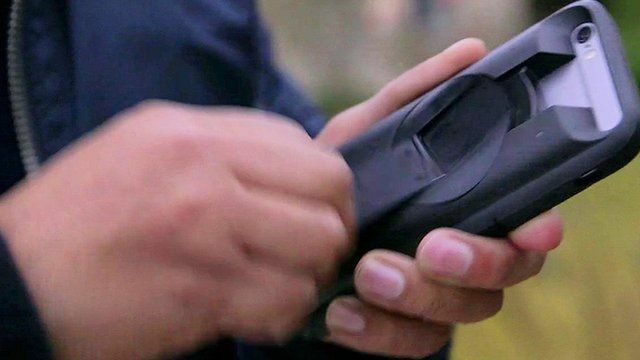 EHang has also mentioned that while one is in the air and attacked by a bird, the 184 tends to take suitable action. Should anyone attempt to hack the 184, the oversized drone is built with encryption which means that one need not worry about someone despicable sending you travelling into a building. The 184 is quite small for an aerial transportation which tends to weight around 440 pounds having a rated load capacity of 220 pounds. However, the EHang 184 death machine does not seem to be powerful enough to carry across any sort of distance. EHang states that it promises limitless possibilities and would influence the way one tends to travel in profound ways. 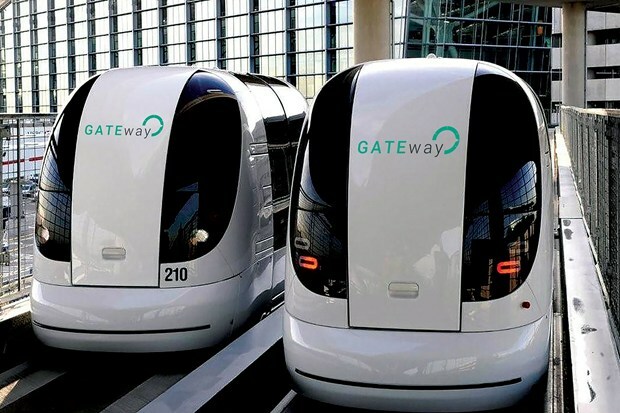 The first autonomous vehicles hitting the streets of London are the driverless pods and the vehicles have already being used on tracks at Heathrow Airport. It will be adjusted for use from July in Greenwich. The association behind the test have mentioned that the changes would be made in order that the pods need not run on tracks. Created by the GATEway group, seven of the electric pods would be placed on the runway of the Greenwich Peninsula, where the routes would probably include residential streets, the North Greenwich underground station as well as areas in the vicinity of the O2 Arena. They would be experimented for three months by invited users prior to being opened to the general community. Individual pod would be carrying six passengers though one of the passengers would be a steward and the task would be to press the emergency button in case of any problem arising during the trip. The pod would also be the first driverless vehicles to hit the streets of London as well as a part of a huge national project. Various companies around the world including Ford, Tesla, Google, probably Apple have been developing autonomous vehicles. Besides just self-driving cars and pods which are being created, Switzerland is all set to introduce nine seater autonomous busses somewhere this year, where the driverless shuttles have been tested on public roads already, in Netherlands. Greenwich is one of the four areas in the UK where the driverless vehicles are expected to be experimented while Bristol, Coventry as well as Milton Keynes would also be experimenting later in the year. It is said that the pods have been utilised at Heathrow Terminal 5 for about five years and as per those behind the project, they have carried around 1.5 million passengers and have travelled set tracks of 1.8 million miles. There are three companies that have been working in making the pods functional on the roads instead of tracks. These include Westfield Sportscar, a West Midlands company which develops classic automobiles. Project organiser Transport Research Laboratory – TRL has stated that it would be acting as an `integrator and manufacturer’ designing and testing the vehicles to make sure that they meet up with road safety standards while Oxbotica, a research based team which was rolled out of Oxford University’s Mobile robotics Group would be working on the software as well as the hardware which deals with mapping, perception and localisation. Finally, Heathrow Enterprise the company which tends to operate the UK’s busiest airport, having plenty of first-hand experience with the dome shaped pods will be designing the software.The UltraPODs as they have been named are presently being adjusted for use on the roads but their precise design has not been disclosed though it has been confirmed that they will not be running on dedicated tracks. The project is said to be equally funded by government agency Innovate UK and industry. The present set of UltraPODs tends to have a top speed of 40kph. Though they are not the most exciting vehicles in appearance, they tend to get the job done at Heathrow and have shown the capabilities of a fully-fledged mode of public transportation. Microsoft has launched wearable technology in Australian stores with its sights on big names in fitness tracking as well as smartwatches. The world’s biggest giant company has launched Band 2 in Australian markets and the same is now available through IB Hi-Fi, Harvey Norman and Rebel Sports at a price of $379.99. Earlierit was made available only in its Sydney based flagship store as well on Microsoft site. Through its Band 2, Microsoft has aimed at Apple, Samsung and Fitbit in the segment of fitness and smart-watch. Band 2 is said to be a mix-up of smartphone notification as well as fitness tracking features and the company states that having the ability to chat with these added features is making the Microsoft Band quite sticky in comparison to some generic activity trackers. The giant company had revealed its plan in Sydney recently and would be rolling out its wearable technology in electronics and sports stores shortly. Adam Pollington, Band product manager of Microsoft informed that the device would target the big names in wearable technology with a mixture of fitness and smartwatch features. He commented that if one looks at the market, there are two clear segments, you have got the activity tracker market and have the smartwatch side with productivity and connectivity. 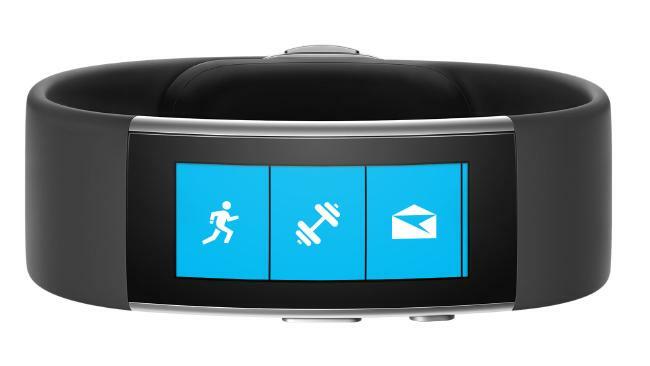 The Microsoft Band is in a new sub-segment of smart bands. He further added that the Microsoft Band would enable users in controlling their health in a more personalized way and would serve as a personal trainer and assistant on the wrist of the users. The first Australian wearable technology release of Microsoft is said to be the consequence of a model which had been released in the States in late 2014, featuring 11 sensors comprising of GPS for tracking cycling, a heart-rate sensor to track exertion, a galvanic skin response sensor to measure stress, barometer for elevation together with a UV sensor to inform if one needs sunscreen, which according to Mr Pollington would be beneficial in Australia. Besides this the Microsoft Band 2 can also connect to Apple iPhone, Google Android and Windows Phones in delivering notifications to its rectangular touchscreen from incoming calls to tweets together with SMS. Microsoft Band 2 is available in three sizes of small, medium and large. For wrist with circumferences of 143 mm and 168 mm, the small size is an appropriate choice, while those between 162mm and 188mm could choose a medium size. Wrists that tend to be larger than 180mm and up to 206mm could select the larger choice. The new device’s standing as a fitness band first follows research where exercise-tracking technology is considerably popular than the smartwatch rival till date. Juniper Research in a latest report, has forecast wearable fitness technology to lead smartwatches for the following three years. According to Future Health and Fitness Wearable report, author James Moar, states that it is only in 2019 that smartwatches would be pulling ahead with 130 million users to fitness technology’ 110 million. Mr Moar had commented that the use of wearable to track health is promising though such devices would not reach their full potential till they tend to become less dependent on mobile devices to relay their information. 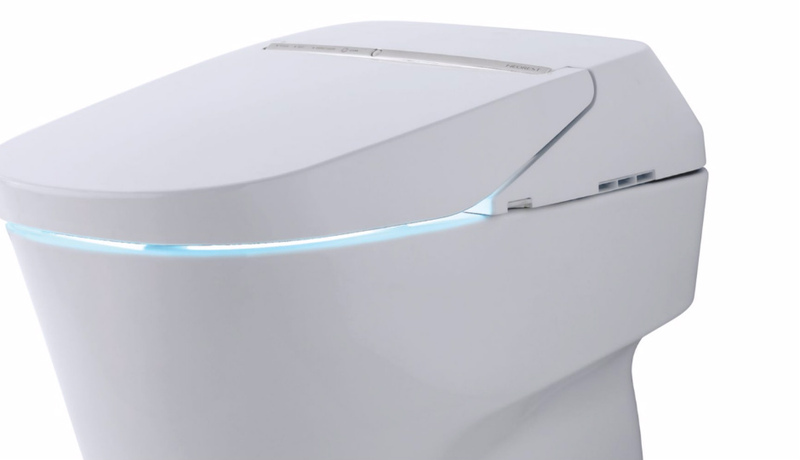 At the Consumer Electronics Show in Las Vegas, Toto, the most popular bathroom and sanitary ware maker showcased its intelligent toilet which tends to open when one approaches it and self-cleans it with every flush. According to spokeswomen it also tends to clean the user with an aerated want that provides warm water as well as warm air from a seated position. Being priced at $9,800, over 40 million earlier versions of the Neorest toilets have been retailed. Though it is expensive, it comes with plenty of features to justify its price. The Neorest 750H seems to be a smart toilet which tends to sense your presence, controls the odour around it and cleans it. According to Bathroom firm Toto, the new prototype was still in the development stage. The self-cleaning procedure tends to utilise a mixture of disinfectant and a glaze which is made from zirconium and titanium dioxide that tends to coat the bowl. Toto spokeswoman Lenora Campos explains that when it flushes, it sprays the interior of the bowl with electrolysed water. She states that the proprietary process essentially turns the water into weak bleach and this tends to bleach the interior, killing anything in the bowl. In the meanwhile, an ultraviolet light in the lid tends to charge the surface which makes it super-hydrophilic or water loving, where nothing can stick to it. 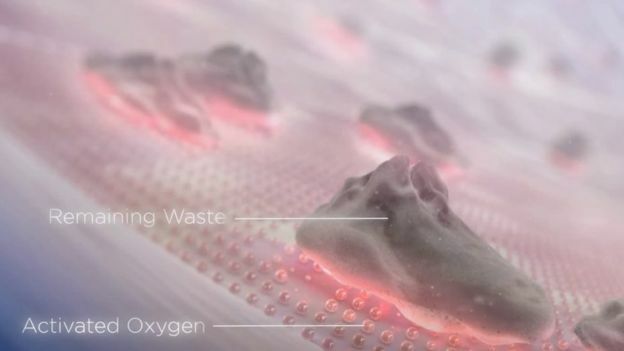 Moreover, photocatalytic permits oxygen ions to eliminate the bacteria and viruses. As per Ms Campos, there is no need to clean the toilet bowl for over a year. Toto has been successful with this by a combination of technologies. The toilet tends to use Actilight technology that makes use of UV light in tandem with a photocatalytic coating to get rid of visible as well as invisible wastes. With the use of a special electrolysis process it utilises electrolysed water which tends to work as weak bleach. Besides this, there are two powerful water nozzles and the bowl has a smooth surface which is called CeFiONtect by Toto. The features extend to auto lid open/close function with flush-on close. There are three washing modes with oscillating and pulsing water spray for easy washing and comes with adjustable heated seat together with adaptable spray position. Besides this it also comes with a Multifunctional Remote Control. According to Toto, it tends to work on a new prototype and there is a possibility of having more customisable functionalities.BBC had asked most of the hotels in Las Vegas if they would be interested in such a product. However they refrained in passing their comments. But one smart home expert stated that the device still has scope for innovation beyond hooking things up to the internet. Frank Gillette from the tech consultancy Forrester Research commented that `it illustrates the notion that tech breakthroughs involve rethinking things. It is not necessarily about adding anything new’. Prospective buyers need to be cautious though the device does not seem to completely liberate them of toilet cleaning duties since the cleaning procedures does not extend to spills beyond the bowls.